Join Liz each month through out 2018 to celebrate her 25th birthday as an author here. 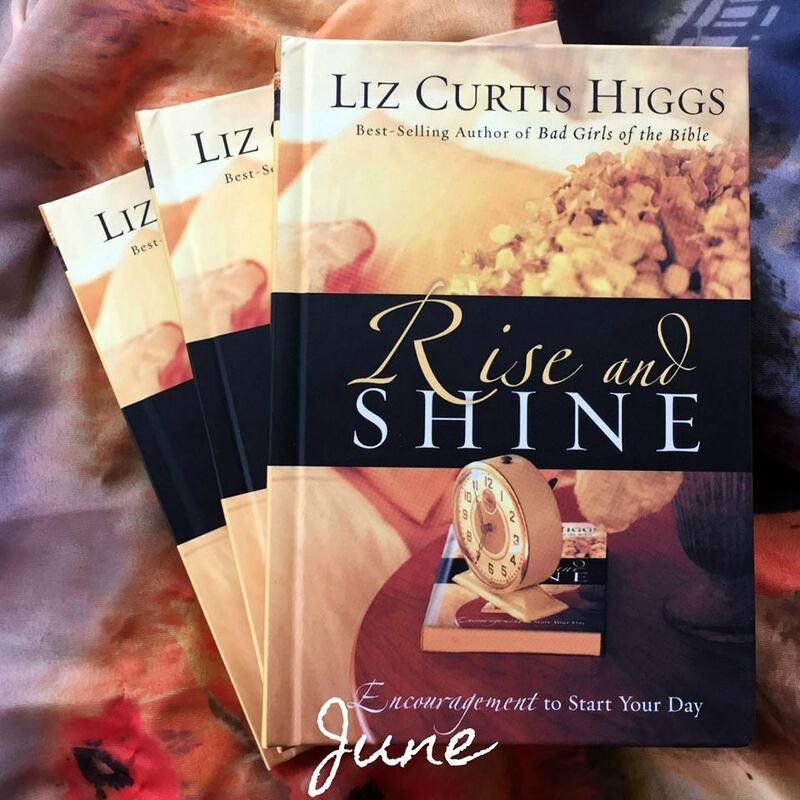 June’s featured book is Rise and Shine. When you rise from your bed, how many minutes does it take before you truly shine? Might I have just two of those precious minutes each morning? Two minutes to whisper a gentle word of encouragement, to brush a feather across your funny bone, to prove how beautiful and valuable you are to God? Two minutes. No calories, no squat thrusts, I promise. Rise, sister mine. And shine. Join Liz each month through out 2018 to celebrate her 25th birthday as an author here. 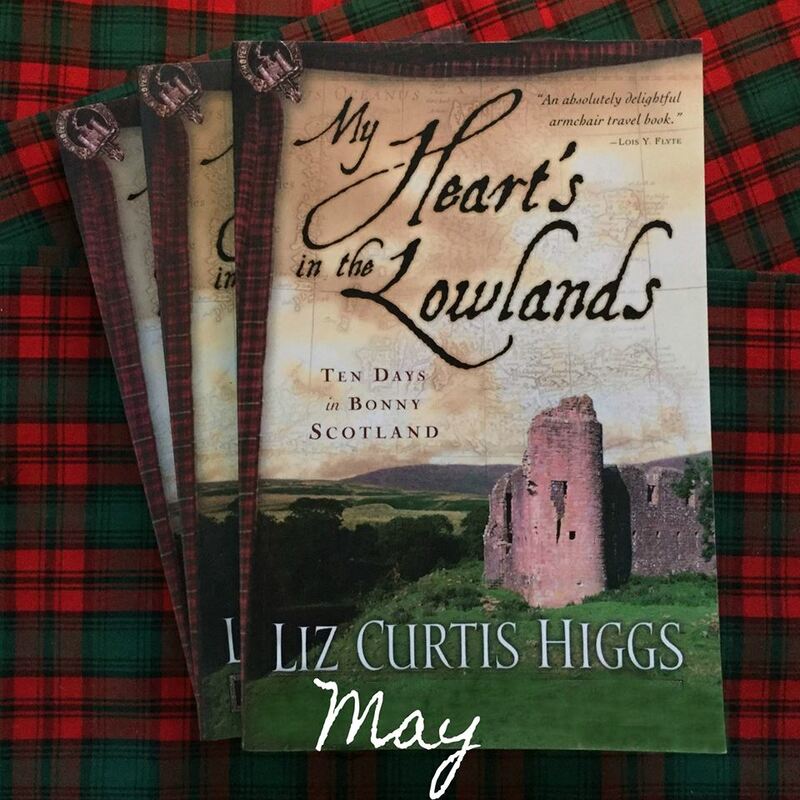 May’s featured book is My Heart’s in the Lowlands. “I consider Galloway the country’s best kept secret: a place where time holds its breath, where ancient ruins dot the countryside in moss-covered splendor, where the natives are friendly and tourists are few, only because they don’t know what they’re missing. Join Liz each month through out 2018 to celebrate her 25th birthday as an author here. 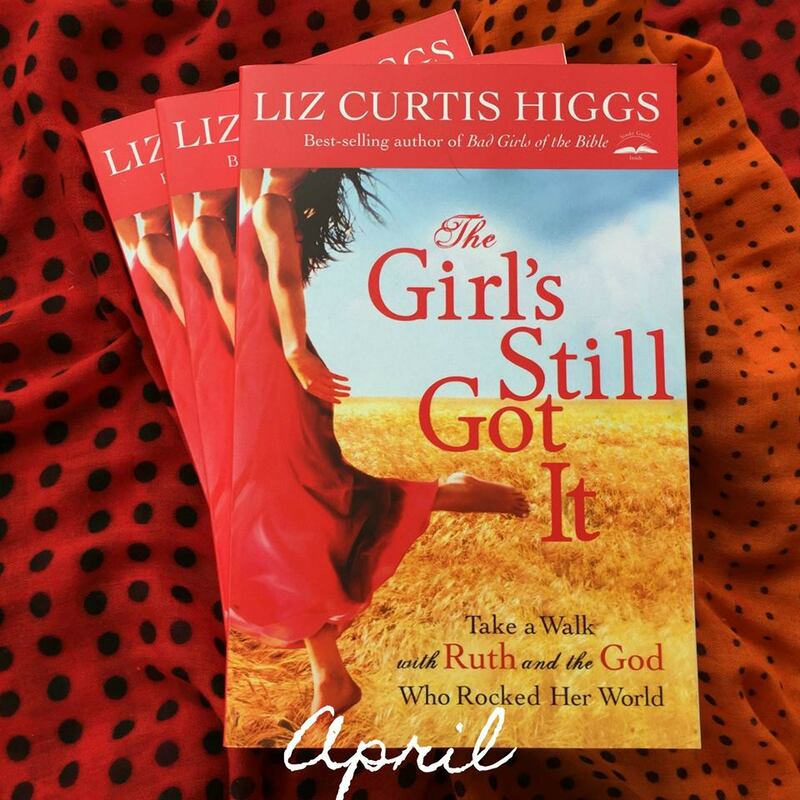 April’s featured book is The Girl’s Still Got It. You know Ruth’s story. Now meet her in person. And prepare to be changed. Walk with Ruth as she travels from Moab to Bethlehem, certain of her calling, yet uncertain of her future. Hold Naomi’s hand and watch love put the pieces of her broken life back together. And hang out with Boaz, their kinsman-redeemer, who blesses both women and honors God, big time. Join Liz each month through out 2018 to celebrate her 25th birthday as an author here. 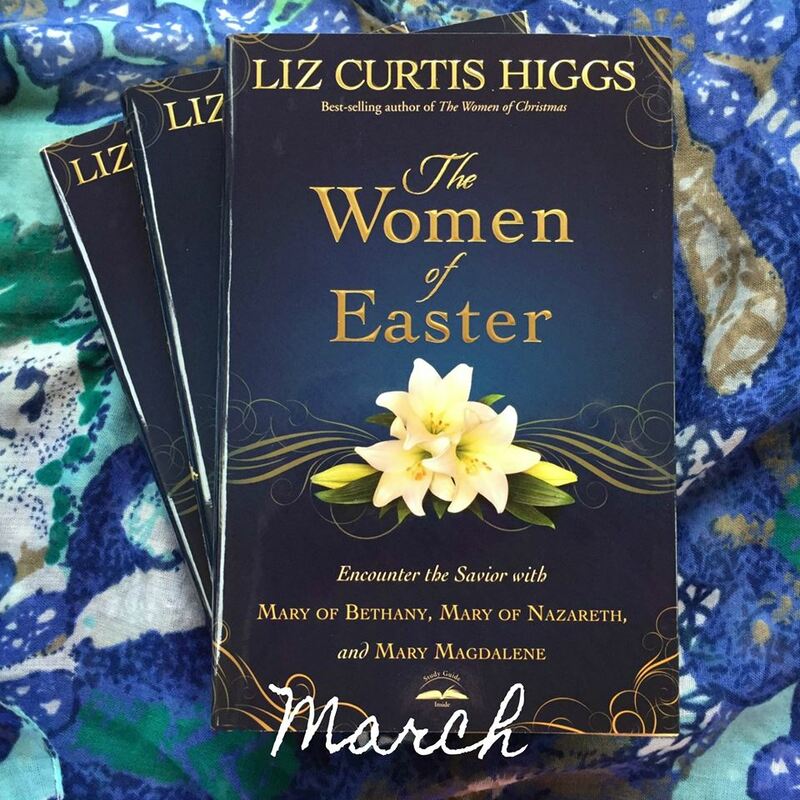 March’s featured book is The Women of Easter. This giftable Bible study for the Lenten season explores the stories of three women who played a vital role in the life and ministry of Jesus, as well as in the events of that first Holy Week that first Easter. Join Liz each month through out 2018 to celebrate her 25th birthday as an author here. 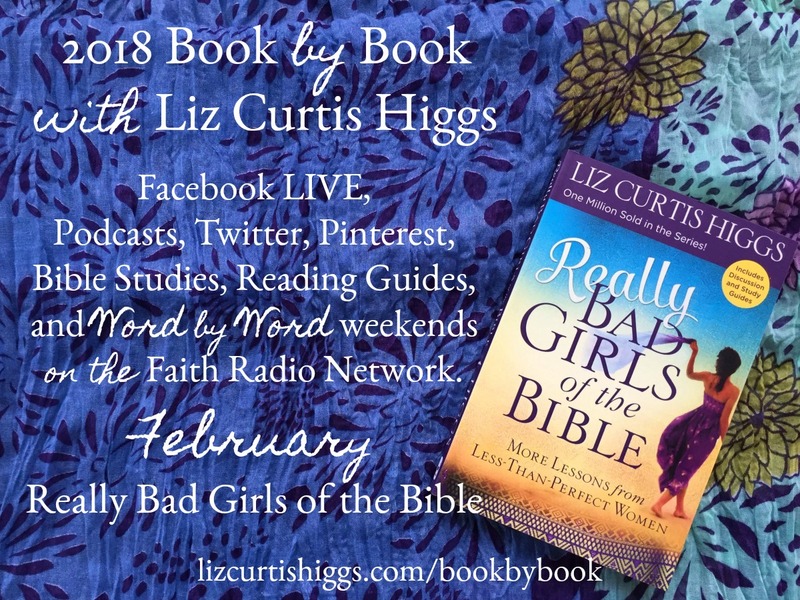 February’s featured book is REALLY BAD GIRLS OF THE BIBLE. from the Bible’s Really Bad Girls. Join Liz each month through out 2018 to celebrate her 25th birthday as an author here. 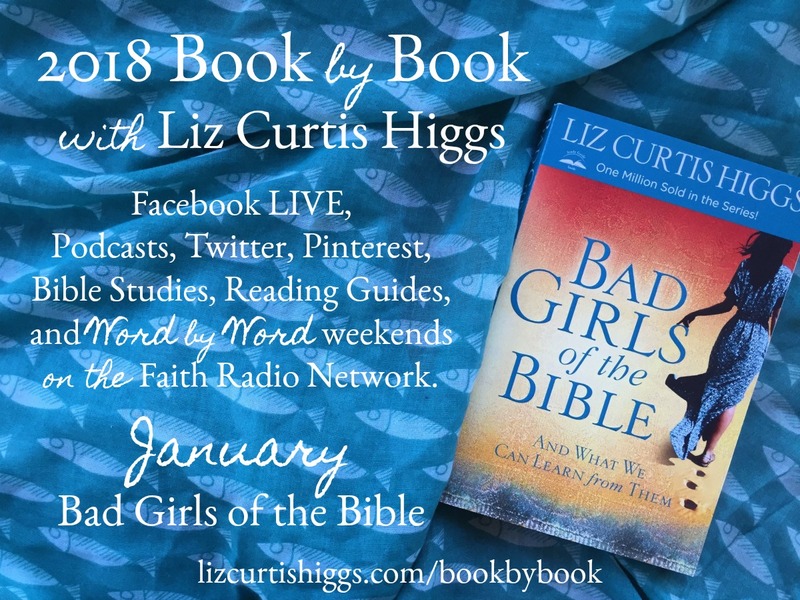 January’s featured book is BAD GIRLS OF THE BIBLE. Ten of the Bible’s best-known femmes fatales parade across the pages of this popular and unforgettable study with situations that sound oh-so-familiar. Read the first chapter of 31 Proverbs to Light Your Path. 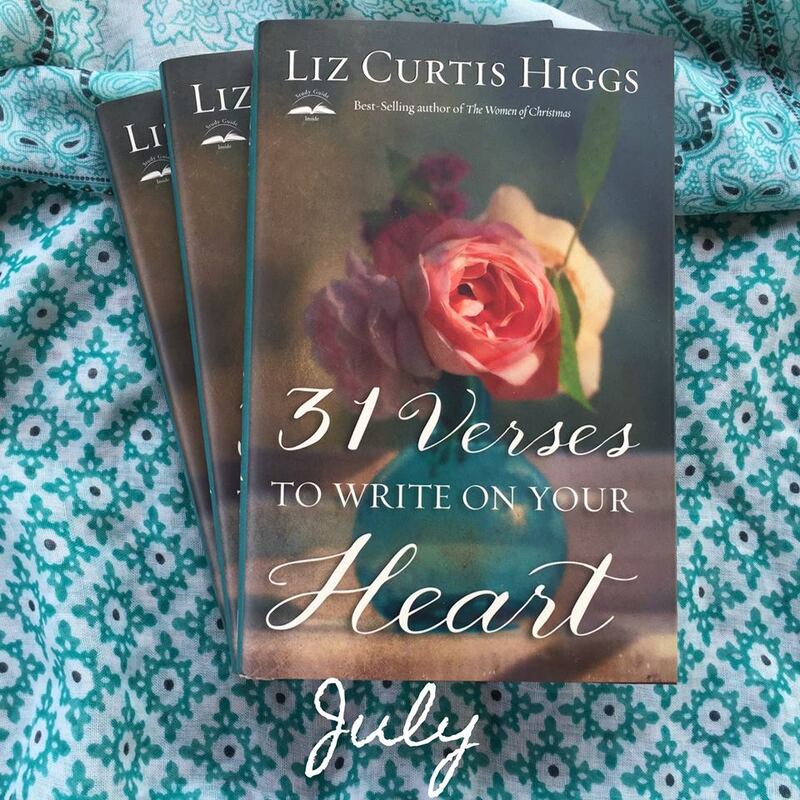 Sign up for Liz Curtis Higgs related news and releases from Penguin Random House.